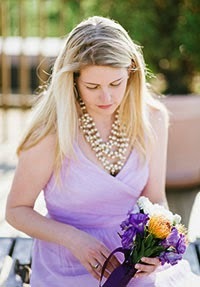 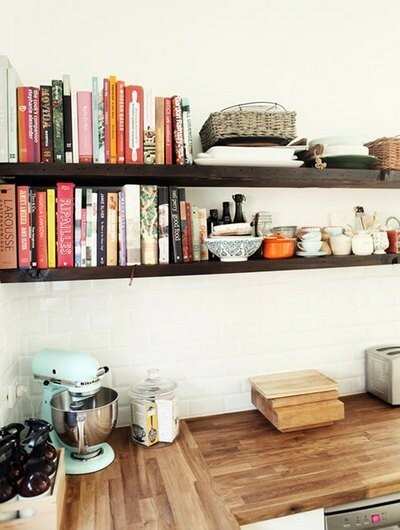 Have I posted about open shelving before... probably but I'll go ahead and share away anyway. 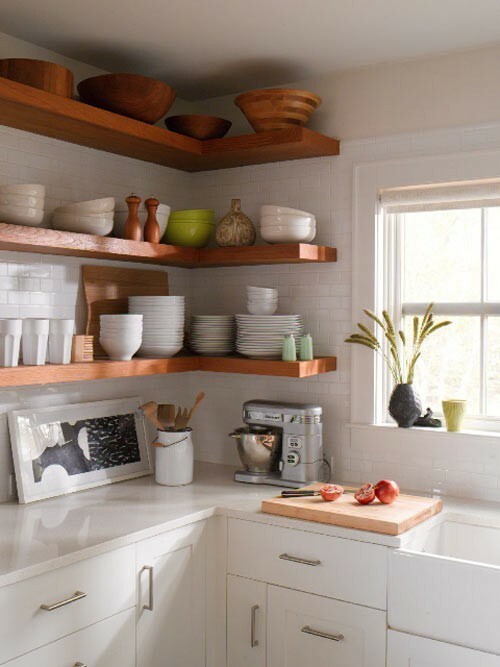 There's this funny randomly placed pantry cabinet in my tiny galley kitchen that is taunting me to be replaced with open shelving above a butcher-block cart. 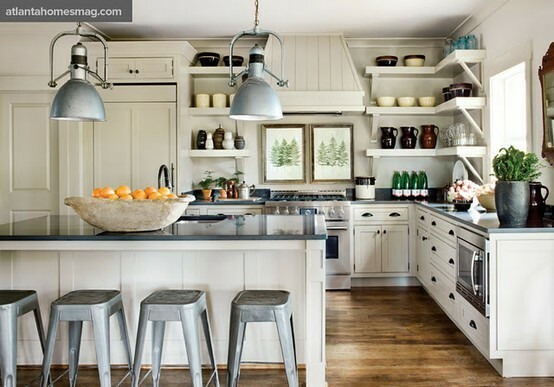 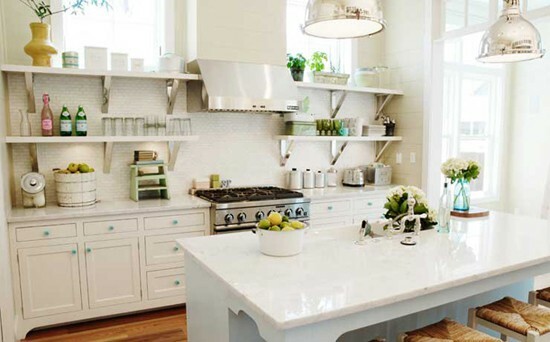 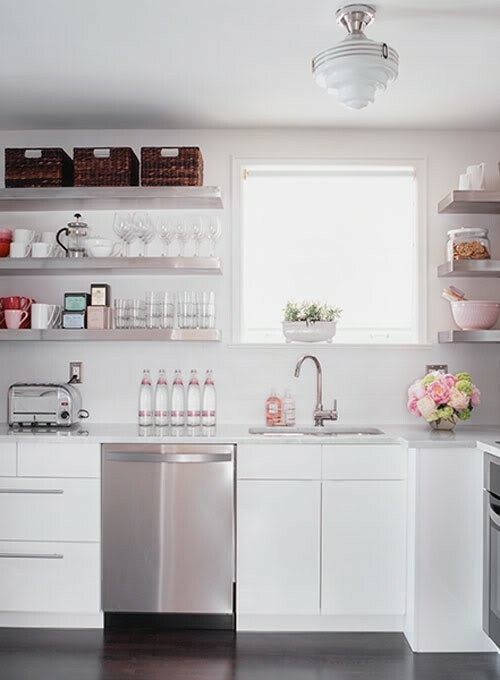 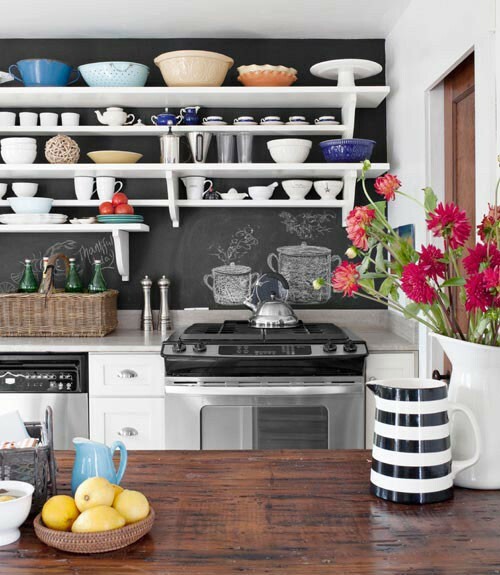 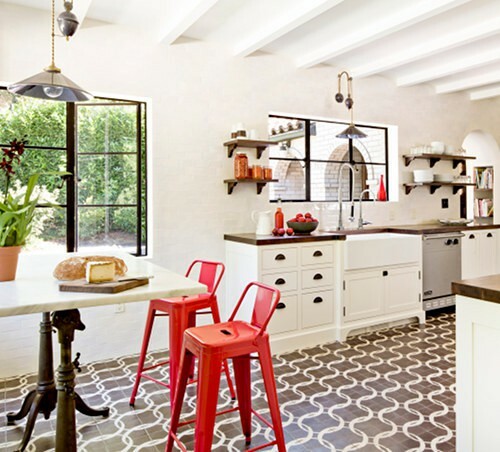 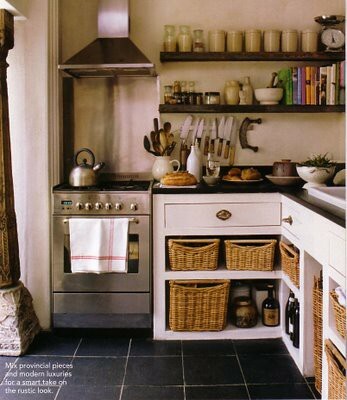 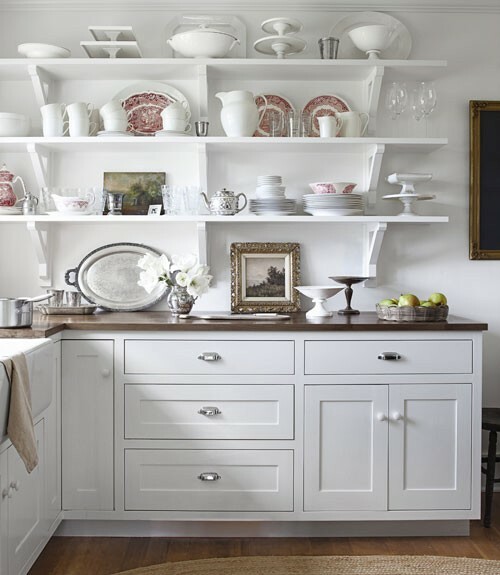 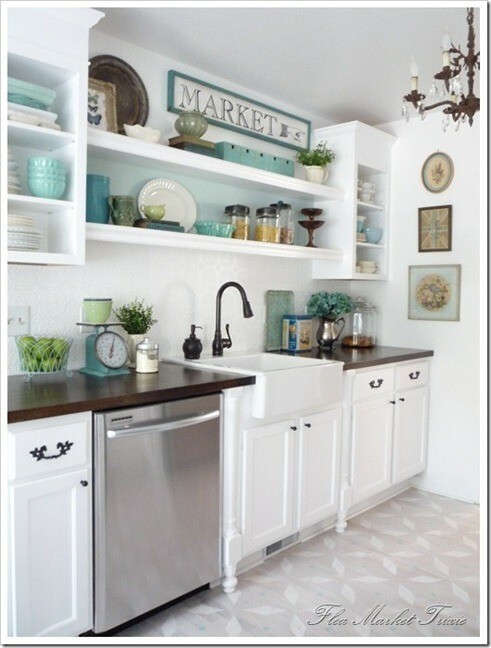 Don't you wish your kitchen had open shelving?